Gerbils are usually very inquisitive little animals, who are capable of digging extraordinarily complex tunnels with lots of different entrances and exits. Within these systems, Mongolian gerbils seem to designate different areas for different activities. Some parts of this burrow they will use for sleeping, some parts they’ll use for eating, some will be for moving between the areas, and some will be used as a toilet zone. 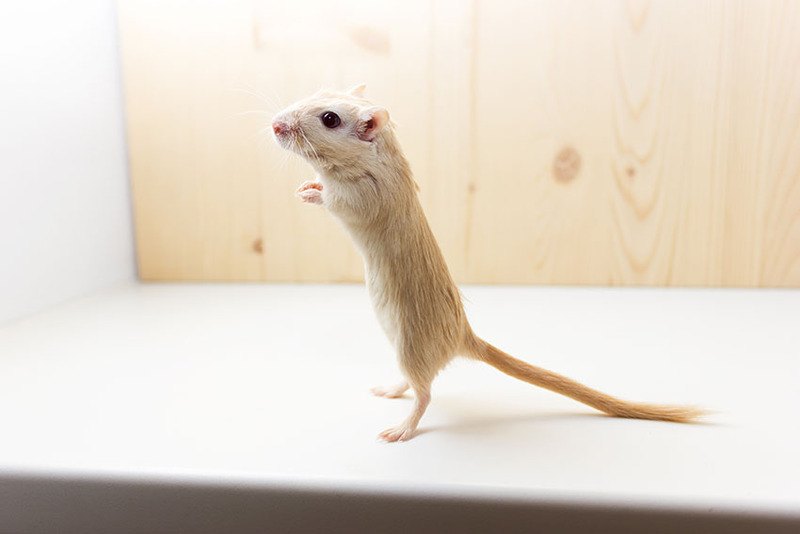 Captive gerbils are generally interesting and active animals, even if some studies have shown they are perhaps less intelligent than some of their other rodent relatives. Although they might not be the most intelligent members of the rodent family, gerbils are capable of learning some simple things such as which other gerbils are friends (and which they see as foes!) and sometimes they can learn where to go to the toilet. The latter of these is very useful in a pet, as it can enable the owner to clean one part of the enclosure more frequently than the rest, saving money on bedding.